Translating to "green island," Isla Verde is a naturally inspired get-away set on the pristine shores of Lake Atitlan in Santa Cruz La Laguna, Guatemala. Famous for its surrounding volcanoes and vibrant Mayan villages, Atitlan is considered amongst the most beautiful fresh water lakes in the world. Sadly, due to increased contamination and de-forestation in the region, this incredible resource is in danger. There is a growing movement to "Save Lake Atitlan," but at Isla Verde the philosophy has always been to preserve it from the beginning. For this reason the hotel makes every effort to minimize their environmental impact, using ecological construction methods, solar energy, grey water recycling, and organic gardening practices to co-exist and care for Atitlan's spectacular landscape. The title "eco-chic" signifies that taste and style are not exchanged for environmental awareness. Whether you're coming for a relaxing weekend, to celebrate your wedding, or to conduct your business gathering, you will do it with class whilst reducing your carbon footprint at Isla Verde. Guests chose between nine independent wooden cabins or two suite-style apartments, all nestled on a hillside to ensure breathtaking views of the lake as well as privacy from the rest of the hotel. Delight in an open-air, solar shower engulfed by tropical flowers, take an afternoon swim from the private beach, enjoy the spa services, sauna and yoga studio, or simply lay back with a good book in one of the many hammocks and breathe deeply. Isla Verde features a Slow Food restaurant which utilizes the fresh fruits, vegetables, and herbs grown in the hotel's organic gardens. 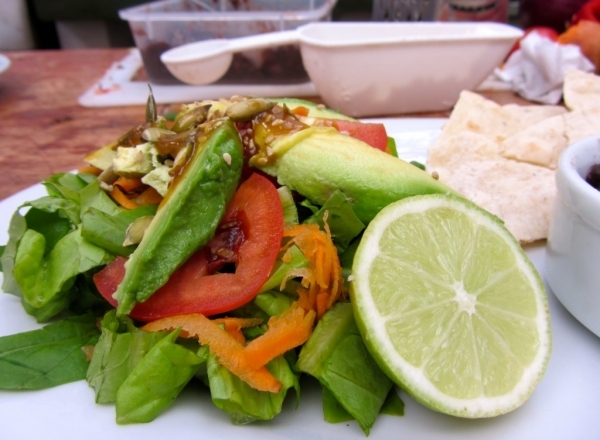 There is no bottled water to be found - but plenty of UV filtered water - and packaged and processed products are avoided to ensure that what visitors eat is just real, clean, delicious, FOOD! Organic waste is composted and put back into the gardens to continue the cycle of sustainable agriculture and absolutely no chemical pesticides or fertilizers touch the hotel grounds. 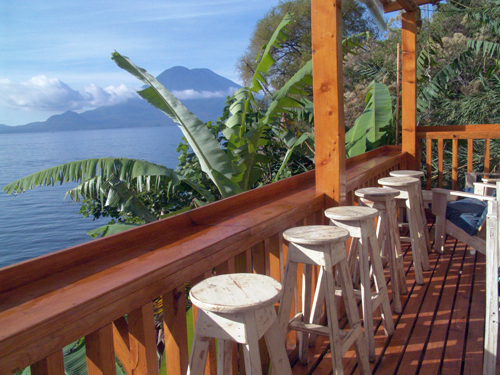 Sip on a cocktail or fruit smoothie while taking in the majestic beauty of Lake Atitlan from the hotel patio or join in the three course dinner served each night on the deck. No matter your age, Isla Verde is the perfect place to leave your stress behind and reconnect with nature. 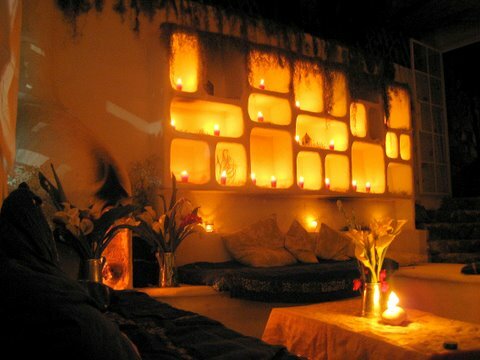 For more information or to make a reservation, visit www.islaverdeatitlan.com or follow them on Facebook and Twitter. Sustainable Travel and Tourism Blog: The views and opinions expressed in this article are those of the author.